Gosh, it really does seem like I haven't done an outfit post in ages. It's been getting cooler, so I'm pretty bundled up while going out, and not too creative. With Christmas now fully in plain view, it's time to start thinking about Christmas parties, and what to wear to them. I'm all about fun dresses, and Motel has an amazing selection. They sent me this really pretty dress, the Cillia, and I can't wait to wear it out now. The red lining, with the black lace on top looks stunning. Definitely perfect for a party. Motel are also doing a fab 2 for £50 offer here, so I would recommend checking that out. I paired the dress with my new Dune heels. Not only are they so pretty, they cost all of £5 (new) from the Times Sample Sale I was at last weekend. Talk about TOTAL BARGAIN. Entries will count until the 14th December, so good luck!! That dress is lovely!!! I love the red over the black lace and the long sleeves. The red looks great with your skin tone and lovely hair. I just got a gold shirt from New Look which I think is definitely coming out with me to some Christmas parties. 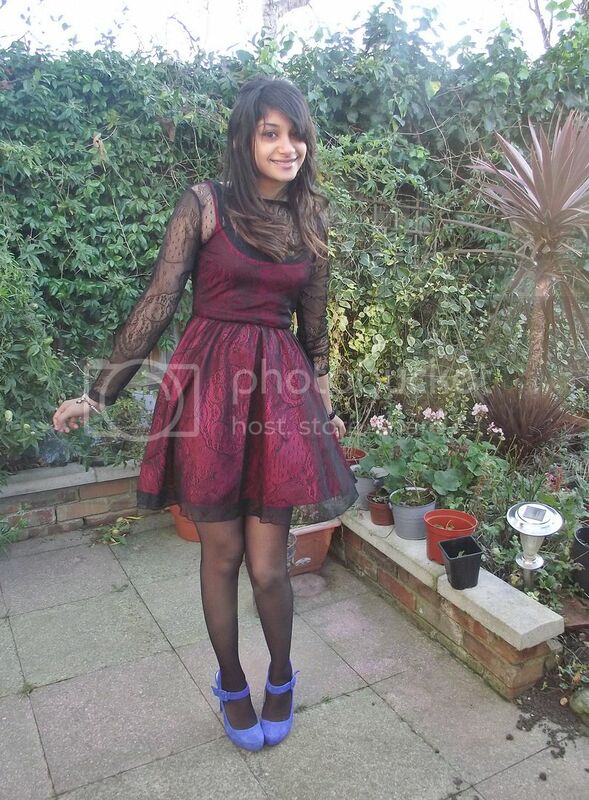 Such a cute dress, Sherin! Perfect for holiday parties. What an unexpected color combination, I like it! Such a pretty dress. 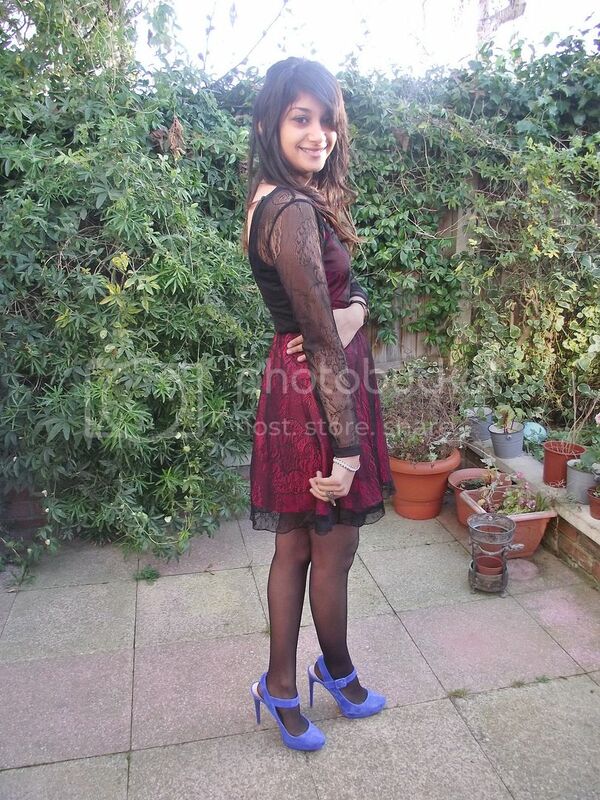 That dress looks gorgeous on everyone, you look beautiful in it Sherin! Absolutely gorgeous dress and heels! I love both the dress and the shoes, so cute! And what a bargain on the shoes indeed!! I love love love lace!! That dress is beautiful! I love the colour and the lace overlay - so gorgeous and perfect for a party! just right for the holidays. have the best weekend.